[0:01] <DryEagle> ok also, since i am able to log into the root account via ssh, i can totally do all installing of new software and everything using that commandline, and dont need to actually physically connect to the pi for anything else now right? [0:04] <DryEagle> and aside from bandwidth it shouldn't cause any problems for my website running on lighttpd right? [0:05] <cbb2296> im guessing lighttpd runs on 80? [0:05] <rymate1234> how does mathematica run on a Pi? [0:07] <cbb2296> you can see it internally. I know you mentioned something about your phone's 3g connection. Im assuming you tried going to the site on your phone? [0:08] <rymate1234> why not use a free and open source alternative such as mumble? [0:13] <cbb2296> and lightweight. Nothing comes pre-installed and it boots almost instantly. [0:15] <TheCommieDuck> so my pi is claiming to use 100% cpu (and refuses to reboot on sudo reboot and is generally really slow), but top returns nothing intensive. It's only really happened now. Any idea? [0:15] <cbb2296> anyone done anything cool with node.js? [0:16] <dosch> @cbb2296 is arch comparable to arkOS? [0:16] <TheCommieDuck> I'm thinking of just reinstalling raspbian entirely now I know how to get openvpn/deluge/samba to work. [0:17] <pwillard> do you have the 512 or 256? [0:17] <dosch> ah? care to elaborate? [0:17] <dosch> why a scam? [0:26] <cbb2296> does anyone know of a web based ssh shell type thing? [0:26] <dosch> I can take over this irc client from my iPhone, work computer, iPad or any other place. [0:29] <dosch> ah yeah, well. [0:34] <dosch> yeah, anyway. as said I am pretty new to all this. bit you can tell me if all these debian packages also run on arch amd arkos? [0:45] <dosch> is there a way to check powerconsumption of the pi from cli? [0:46] <dosch> or cpu load? [0:47] <dosch> and to kill a process? [0:47] <cbb2296> killall processname ? [0:47] <oldtopman> "killall -KILL <name of process>"
[0:48] <oldtopman> You'll see "kill -9 <process id>", but the process id is a little harder to find. [0:58] <cbb2296> anyone know anything about building GUIs with chromium. Like how i could build an easy full screen gui for my pi? [1:04] <Maspry> cbb2296: not sure here sorry, do not have a lot of experience with chromium. are you just trying to get the pi to open it full screen on boot to a page? [1:07] <Maspry> cbb2296 have you seen the xdotool to send key f11? [1:12] <Maspry> what about afce4? [1:18] <Maspry> I think you could perhaps use a partition tool to resize it ? [1:22] <bitplane> 'sup rpi. where can I learn me some electronics other than begging for scraps in here? [1:24] <oldtopman> bitplane: There's also ##electronics here. [1:59] <Emi> want to talk about non tech stuff? [2:02] <SpeedEvil> Emi: In broad - no. Let's keep it on topic. [2:04] <pksato> Is about Raspberry Pi? [2:04] <bitplane> here's a thought. I'm stuck in a hotel room all week. Reckon a soldering iron will set the fire alarms off? [2:04] <bitplane> or should I just work on software while away? [2:07] <bitplane> "remember that time you got stabbed by a trucker for evacuating the cheapest hotel in town? LOL!" [2:07] <pksato> bitplane: That you plan to heat with solder iron? [2:11] <pksato> I suspect that solder flux and other chemical on solder processing not have high density of gas that to triger alarm. [3:00] <basichash> How can I the linux kernel on my pi? [3:00] <SpeedEvil> Just like you shot web. [3:02] <RiXtEr> bitplane, if its a cheap enough hotel do they even have smoke detectors? [3:13] <bitplane> what's the maximum number of buttons I can attach to a raspberry pi? [3:18] <SpeedEvil> For 7, you can just wire the buttons direct - with a resistor. [3:18] <bitplane> http://www.cl.cam.ac.uk/projects/raspberrypi/tutorials/robot/images/EGHS-PullUpDownSwitchProtected.jpg <- like this? [3:21] <SpeedEvil> Pull up is connecting through a resistor to the higher supply voltage. [3:23] <bitplane> is there a difference between the two pictures there? [3:28] <cbb2296> is it possible to expand my partition without formatting my drive and restarting? [3:30] <bitplane> what is a gpio pin anyway? [3:30] <bitplane> compare to ground or complete the circuit to the 3.3v? [3:32] <bitplane> i mean on the inside somewhere is it connected to the 3.3v and ground, via a transistor or something? [3:32] <bitplane> if it's completely passive why would it need a resistor between it and the circuit? [3:39] <shiftplusone> cbb2296, do you still need to expand the partition? [3:39] <shiftplusone> cbb2296, which distro? [3:40] <shiftplusone> cbb2296, arch is a little trickier than the others. The steps are: delete the current partition, recreate it with the same starting sector, but going to the end. Then run resize2fs. [3:42] <cbb2296> @shiftplusone Thank you! how would i go about doing all of this? I can't do it over ssh can I, wouldn't I have to remove the card? [3:42] <shiftplusone> cbb2296, I have a script which does it automatically for the arch image, do you think you would be able to understand it and adapt it to a live system running arch? [3:45] <shiftplusone> it's fairly straight forward once you've done it once. [3:49] <shiftplusone> why is that? [3:51] <shiftplusone> the n is for new and e is for extended it asks what partition number and where to start it... and so on. [3:53] <shiftplusone> to be fair, you don't need to worry about partition numbers and start and end sectors, the default values fdisk gives you should be fine, it's a "just in case deal"
[5:23] <C200> How would one sync an iPod nano 5G on a Pi? [5:43] <C200> I'll soon be using a Chromebook and a Pi. [5:44] <C200> shiftplusone: I've considered that. I might just use the Chromebook C720 as my "iPod" on the bus. The nano has a nice FM radio, though. [5:45] <shiftplusone> haven't really kept up with mp3 players and such since every phone became one. [5:46] <C200> I pay $15 a month for an old flip phone. Hard to move on. Poor. [5:47] <C200> Are people using Spotify's GUI client on a Pi? [7:18] <C200> Datalink: what other hw/sw would you use? [7:22] <C200> Datalink: I wonder if Tvheadend would be of any use. [7:24] <C200> Datalink: I'm considering trying an old USB 1.1 capture card/cord with a digital to analog TV tuner convert to stream TV to my laptop. Low res = less impact on precious USB? [7:25] <C200> Datalink: I'd try messing with XBMC first, if you haven't already. [7:30] <C200> Datalink: Does your camcorder turn off automatically when not recording to tape? My 8mm Handycam does. [7:35] <C200> Datalink: Is there a power-saving feature that assumes you accidentally left it on? That's how mine is. [7:40] <C200> Datalink: Oh, yeah, mine probably turns off to protect the tape -- even without a tape in there. Consumer stuff. [7:40] <C200> Datalink: You could just record to tape then encode later. Haha just kidding. [7:43] <C200> I still need to manually edit my 8mm home movies to VHS, using emulated Commodore video titling via Dreamcast. Preservation. [7:44] <C200> Then encode the tape. [9:05] <ShorTie> of course it was a chicken/egg thing, lol. [9:09] <Terminus> ShorTie: seems different. i have usb messages that i haven't taken the time to read on the rpi. might be a controller issue. [9:10] <Terminus> ShorTie: i just read that you should never load the rpi usb with more than 100ma. [9:28] <dfcnvt> What webserver do you guys use in rpi? I'm thinking of getting lighttpd due to minimal memory usage. [9:30] <dfcnvt> What about nginx? [9:32] <Phosie> I think I'll use lighttpd again just because i know it. [10:07] <local> hey all. Which firewall is installed by default on Raspbian? I cannot see any /etc/init.d/firewall or /etc/init.d/iptables script. But when I do a "iptables -L" I get an output with long list (because I use fail2ban). How can I determine which firewall is used? [10:10] <Terminus> yeah, debian has never had an iptables init script IIRC. [10:14] <Terminus> i'm just using debian as a reference here. my rpi is off. [10:15] <Terminus> and i didn't find anything in /etc/defaults/ in a basic debian install. [10:18] <Terminus> local: iptables is always the firewall on linux. anything else you install is just an add-on that manipulates iptables. [12:46] <ln-> you haven't asked an actual question. [12:55] <pksato> configure motion to use /dev/video0 . [13:29] <SpeedEvil> Also - can you make the camera a v4l device - and just have it dump out frames? [13:31] <SpeedEvil> Stick up a paypal donation link for a camera? [13:35] <SpeedEvil> And imagined a drinking game. [13:39] <urs> juniour: It might create problems with your SD card... or it might crash more often. [13:39] <urs> juniour: but if you've tested it, and it seems to run stable, there are no other disadvantages. [13:41] <urs> few rpis run stable at 1GHz without overvolting. [13:41] <urs> but you can try. It won't break anything. [13:42] <urs> Remember that overclocking the arm core is not the only thing that gives improved performance. [13:42] <urs> Also the ram and core clock can have quite an impact. [13:43] <urs> juniour: nah, a cooling fan is completely useless. A proper metal heatsink is already overkill, but if you really want to push it, you can consider that. [13:44] <clever> you put meat on your pie? [13:44] <urs> juniour: sure, it will run at 70ish degrees (celsius)... but the chips are designed for those temperatures. [13:45] <urs> so unless you live in the desert with unbearable outside temperatures, you definitely won't need a fan. [13:46] <juniour> where else needed ??? [14:34] <local> how can I completely DISABLE the firewall/iptables on a RaspberryPi running Raspbian ? [14:43] <Davespice> oh right to load from from a binary? [15:00] <local> and can I somehow see/check which packets are dropped/rejected on the RPi ? [15:00] <local> when IPTables are running? [15:01] <local> after the text "dropped: " ?? and the rejected? [15:03] <local> the routes are pushed/pulled correctly. No firewalls active on client and server. [16:49] <dleonardi> any ideas on what i might be missing? [17:08] <sheikpunk> hello guys im using raspbian, but i think the xorg fonts not really goods on my display. Someone known anything about that?! [17:12] <dleonardi> hm i think i had an outdated version of the source code for some strange reason. recompiling now..
[17:33] <rymate1234> you know the noobs installer? [17:33] <rymate1234> do I need a display? [17:34] <rymate1234> can I use composite? [17:39] <IT_Sean> now you do. [17:47] <rymate1234> does it work over wifi? [17:49] <Nefarious___> _BigWings_: you've been joining every five-ten minutes for over 32 hours now. Please stop. [17:49] <IT_Sean> Nefarious___: you are not a channel operator or staffer, please do not tell other users what to do. [17:50] <tanuva> rymate1234: what do you want to do over wifi? [17:51] <Nefarious___> I know, i asked politely. I don't think i need to be an Op to ask someone to stop continually quitting, do i? [17:51] <IT_Sean> It's not your place to make that request, Nef. [17:52] <Nefarious___> I think its reasonable since its been flooding my client for over a day. Maybe its not my place, but i only asked. [17:52] <IT_Sean> nef, you can /ignore it. [17:54] <KBme> anyone know how to compile the xbmc branch with the RPi-specific patches? [17:54] <KBme> and how big a difference the patches make? [17:54] <elenciu> how can i update the kernel of the raspbian to the lastest version? [17:55] <Nefarious___> besides it was the fact that ge was spamming my client, nothing to do with the channel itself. Its not like i said "stop joining this channel, you don't belong here" i think we can stop now anyway. [19:00] <Rienzilla> is there a definitive way to force the pi to do hdmi? [19:10] <KBme> Rienzilla, hdmi_force_hotplug=1 fixed that for me, i don't know what the others do. [19:12] <Rienzilla> how does your pi know what resolution to output if the displa is not connected? [20:08] <dekomote> does anyone have an init script for emulationstation(retropie)? [20:14] <hosler> anyone use an ipad screen with raspi? [20:16] <IT_Sean> It's not going to be Simple. You would need an LVDS controller tuned for that specific model LCD. [20:17] <hosler> i want to frame a screen and use the raspi to show pictures on it as a gift. trying to find a good screen for this project. [20:17] <IT_Sean> Your best bet is probably a stripped down car headrest display. Some of those have HDMI gazintas, and practically all of them have composite gazintas. [20:18] <pksato> on ebay have a kits of display+controler. [20:20] <IT_Sean> I am sure you can find an ~10in display with an HDMI gazinta. Possibly for less than the cost of an iPad display (which really gives you no benefit) and the necessary controller. [20:28] <pksato> 60$ on a 10.2" digital photo frame. [20:29] <Hix> Is it a common problem that raspivid crashes rev.1 Model B pis? [20:30] <shiftplusone> Hix, have you checked the tp1 tp2 voltage? [20:31] <shiftplusone> Hix, do you have a multimeter? [20:31] <shiftplusone> Hix, on the board, there are test points labelled tp1 and tp2, just measure between those two points. [20:32] <shiftplusone> bennypr0fane, you've come to the right place, but he doesn't seem to be here right now. He's on quite frequently though. [20:32] <Sonny_Jim> Is it that hard to setup mpd? [20:32] <shiftplusone> Hix, I don't know if this has anything to do with the problem, but it's one of those things that causes 90% of all problems, so it would help to rule it out. [20:32] <shiftplusone> Sonny_Jim, nope, nerdboy just has a minimal image. [20:33] <shiftplusone> Hix, none that I know of, no. [20:33] <Hix> ahhh. 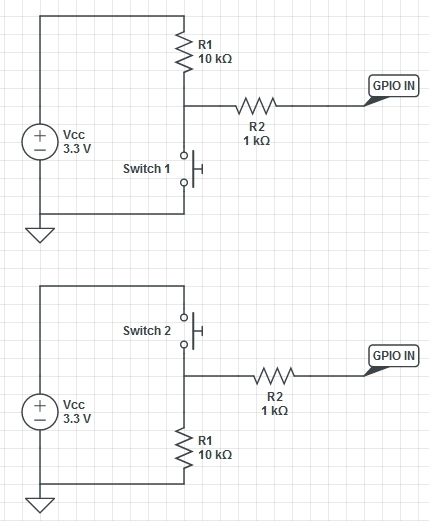 If I power via GPIO then it's all good no? [20:49] <Hix> shiftplusone 4.52v without the camera even running, seems low no? [20:50] <Hix> is it as simple as replacing the vreg? [20:51] <shiftplusone> you can measure the voltage across the polyfuse to maake sure. [20:53] <shiftplusone> is this 5.09 at the pi's input while it's running? [20:53] <shiftplusone> or is it at the block's output with nothing attached? [20:55] <shiftplusone> Hix, not always. There are cable losses to consider. [20:55] <shiftplusone> *most. But assuming it's a genuine Apple, it should be ok.
[20:55] <Hix> yes - genuine. [20:56] <shiftplusone> Hix, verify that first. Found the polyfuse yet? [20:56] <shiftplusone> should be labelled F something. [20:57] <shiftplusone> measure the voltage across it with the pi running. [20:57] <shiftplusone> If that's fine, then the last thing to check (that I can think of) is the cable resistance or voltage drop, but that's tricky. [21:00] <Hix> F3 on reverse side of board is showing as 0.15v ?! [21:01] <shiftplusone> you could short circuit the polyfuse. [21:05] <Hix> does GPIO bypass the vreg? i.e if the power block is putting out 5.09 will it cope? [21:05] <shiftplusone> there's a 3.3v though for the bulk of the board. [21:05] <shiftplusone> and iirc a 1.2ish v one. [21:06] <Hix> ok, is 5.09 withinn tolerance then? [21:06] <shiftplusone> I don't think you will get 5.09 on gpio anyway, even if that's what's at the supply's output. [21:21] <Craynerd> Hi guys, anyone know if schools can purchase raspberry pi's at a better price in large numbers? [21:23] <Sonny_Jim> "Unfortunately, because of the way the pricing model (and the fact that we’re a charity) works, you won’t be able to get a discount for bulk"
[21:24] <SpeedEvil> So the price break is tehre, but not that great. [21:24] <Craynerd> No, sod all really but fair enough. [21:25] <Sonny_Jim> You get them VAT free though? [21:25] <Sonny_Jim> Do schools pay VAT? [21:25] <shiftplusone> Craynerd, the pi was designed to cost as little as possible, so the profit margin is very low. However, check the link SpeedEvil gave you. They do charge a few dollars less if you order in bulk (at least if you order in the UK from farnell). [21:26] <Craynerd> Yes, but I'm sorry, that was quoting 100 for a better price. I'd be pushing to order quarter of that! [21:26] <Craynerd> I'm just looking for a class set. [21:28] <shiftplusone> I don't see '100' anywhere... I see them getting cheaper at 10 units, then 25 and then 50. [21:30] <shiftplusone> if you're swapping at all, you're doing it wrong. [21:31] <IT_Sean> You had me at "Damn you Windows 95"
[21:35] <Sonny_Jim> What age range is it? [21:35] <Craynerd> The beauty of the arduino is they pay £12 and it is there's to keep! [21:36] <shiftplusone> Craynerd, I agree that the pi is a bit slow for the way the foundations wants it to be used (running a full desktop environment and teaching scratch and such), but it's certainly more than good enough to teach general programming. [21:36] <shiftplusone> and 'course you get all that GPIO goodness as well. [21:38] <SpeedEvil> Craynerd: How are you going to arrange for 25 monitors, keyboards? [21:39] <Craynerd> I was discussing this today. We have a good stock of old monitors from our past IT suites that have now been replaced by portable laptops. That said, it is an issue! [21:40] <Sonny_Jim> Craynerd: Are they VGA monitors? [21:41] <SpeedEvil> VGA won't work. [21:41] <SpeedEvil> Without a converter costing about as much as a pi. [21:41] <Craynerd> Damn... Does pi support VGA !!! Damn, yes I ran mine through the hdmi port on my tv! [21:42] <Craynerd> So how the heck are most people running them at schools if they don't even link to a standard VGA ? [21:42] <SpeedEvil> VGA is not standard. [21:43] <Craynerd> Ahhhhh ... Sorry, these are LCD so is it possible they have dvi ? [21:46] <shiftplusone> imho some guidance would be needed at the start at least. [21:47] <Craynerd> yes, heard about that. Didn't they learn English to read the instructions? [21:49] <Craynerd> One more question, you have been really helpful. [21:49] <Craynerd> What could that goal be? [21:50] <Sonny_Jim> Making a traffic light sequence from LED's? [21:50] <Craynerd> But you see from my perspective, the arduino does that job perfectly with its simple arduino sketch programme and simple upload! [21:51] <Craynerd> This is why I sold my pi. I felt I was missing something! [21:52] <Craynerd> It isn't cheap compared to what I have! It functions as a computer with an OS which the arduino can't do, but then like someone just said, they see computers each day! [21:54] <Sonny_Jim> So from an education perspective, what are those tasks? [21:55] <Craynerd> Ozzzy...I'm not trying to be an idiot, I want to know, but I can't see anything that the pi does that is special. To me it acted as a tiny slow computer - I can certainly see its benefit in 3rd world or where pcs are expensive. [21:56] <Craynerd> Ok, now I'm getting more excited. I see what you are saying. [22:00] <Craynerd> I don't know that myself... Remember, I'm just giving them an opportunity to explore ... I'm not trying to ""teach""! [22:01] <Craynerd> Yes, a web server would be cool and I did try that myself last year with mine! Although expect I'll have issues with our network management with that project! [22:47] <SpeedEvil> I was making an attempted joke, based on Geosynchronous transfer orbit, and an abusive retort. [23:09] <Sonny_Jim> Sonny_Jim: Please avoid swearing in #raspberrypi. [23:13] <Sonny_Jim> Does it also look for combination words? [23:16] <shiftplusone> Nefarious___, will you fix it or should I remove IT_Sean's failwords? [23:19] <Nefarious___> shiftplusone: btw you spelt offences wrong before. [23:22] <Sonny_Jim> A quick question, do you guys roll your own config file parsers or do you use a lib? [23:25] <shiftplusone> I figured writing my own would be trivial and most systems have glib available, so may as well not re-invent the wheel. [23:25] <hopsy> Is it possible to get the ip address of the raspberrypi I am connected currently, without having a screen? [23:25] <hopsy> like using tcpdump or arp? [23:26] <Sonny_Jim> But if you are already connected to it, how did you connect to it? [23:26] <Sonny_Jim> Ah, so it's just a cable? [23:27] <Sonny_Jim> You mean connected in a physical sense, right? [23:27] <Sonny_Jim> You know what a dhcp server is? [23:30] <Sonny_Jim> What operating system is the laptop? [23:30] <Sonny_Jim> So maybe Wireshark? [23:31] <hopsy> tcpdump will also work? [23:32] <Sonny_Jim> Can OSX mount Linux filesystems? [23:34] <linuxstb> hopsy: What's the IP address on the laptop side of the cable? [23:37] <hopsy> what is stf0 gif0 en0 bridge0 p2p0? [23:41] <ShorTie> you lookin for rPi ip address ?? [23:43] <ShorTie> [14:58:21] <gordonDrogon> ForSpareParts, run this command: fping -a -r1 -g 192.168.254.0/24 &> /dev/null ; arp -n | fgrep " b8:27:eb"
[23:43] <ShorTie> [14:58:38] <gordonDrogon> where 192.168.254.0 is replaced by your own LAN address. [23:44] <Da|Mummy> NOOBS contains openelec, correct? [23:54] <linuxstb> That doesn't seem helpful in this context.